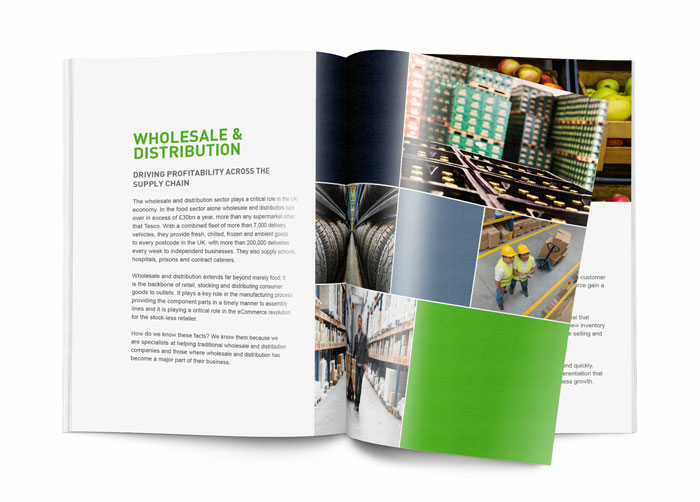 As part of a larger product offering, it allows you to run your business efficiently, providing highly effective stock control capabilities, warehouse and inventory management solutions alongside other key business measurements. SAP Business One provides automated support which can optimise resources and assets, enabling you to understand your stock levels on a minute-by-minute basis through an Enterprise Resource Planning (EPR) solution. Such a simple system makes a huge impact – as part of SAP Business One, the warehouse management functions allow your managers to improvement efficiency, manage stock levels and support the growth of your business with enterprise level reporting at the click of a button. The warehouse management functionality within SAP Business One allows you to be in control of your stock at all times, even if you are out on the road via our unique SAP Cloud. Ensuring you are only ever a couple of clicks away from know exactly what is inventory you have, including the ability to run large scale board level reports at the click of a button, will ensure your business is running efficiently, 365 days a year. SAP Business One allows the entire business to see both fast moving and slow moving stock. As such this empowers everyone with the knowledge to make informed decisions – about promotions, purchasing or production on the fly. In addition, the Material Requirement Planning (MRP) function present through SAP Business One allows you to anticipate product supply and demand to help streamline production processes, logistics and storage. With highly effective stock control tools at your fingertips, planning, monitoring and optimising your stock levels can reduce overspend and wastage. Forward-planning is made simple with the Material Requirement Planning function by tracking and plotting levels over time with a foresight view of projected production needs. To bridge the gap between SAP Business One and your warehouse, you can utilise Codescan, our market leading barcode scanning solution. Codescan is a clientless scanner app which seamlessly integrates with SAP Business One identifying goods coming in and out and maintaining the data management side of your stock control system. Businesses are no longer managed in one location by one person, and that’s why cloud-based software solutions are proving to be so vital in the modern business world. SAP Business One allows you to have a centralised view across your entire business. Delivered either on the cloud or on premise, we can deliver your solution with remote access allowing other warehouse users to link in. At the touch of a button, full warehouse management is possible – you can look at real-time stock levels, check availability of materials while out on a job, accept and distribute materials and receipt goods. In today’s fast moving world, Codestone understands that you no longer have the time or the resources to be managing your warehouse stock levels and inventory physically on a daily basis. Highly effective systems such as the warehouse management and inventory management functions provided through SAP Business One are developed not to replace the work of warehouse personnel but to give them the tools to undertake their roles move effectively, increasing productivity by giving them the information they need. You will always know what is in your warehouse and where it is. If using a cloud-based SAP Business One solution you can access warehouse management information anytime and anywhere. End to end processes of warehouse management can all be linked through an Enterprise Resource Planning solution.